Ah, the entrepreneurial journey… It’s fast-paced, crazy, intense, fun, and stressful – sometimes all at once. But what do you do when the stress goes from motivational to overwhelming? How do you know when that stressful week, month, or quarter is a sign? A sign that you’re ready for more. More help. More automated systems. More *time* back in your zone of genius. Time working *on* your business instead of *in* your business. Far too often, the stress of operating a business can make you stay stagnant. 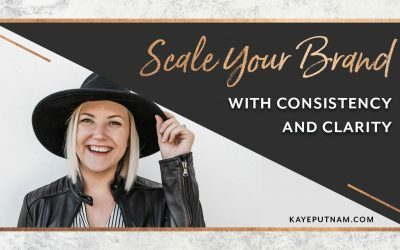 That “I’m not ready” feeling creeps in and forces you to do the opposite of what would really relieve the pressure – scaling and expanding your business. The truth is, the one fatal flaw that many entrepreneurs encounter is never shifting the focus away from themselves. And there’s a reason why… When you first start out, it’s natural. You’re selling your unique talent and building up your public profile. But there’s a pivotal point in this model, and it’s the moment where you just don’t have enough time in the day. You’re past selling yourself; it’s time to sell a process. A unique way of doing things. And in order to grow exponentially, you’ll need to pass the torch and hire help. 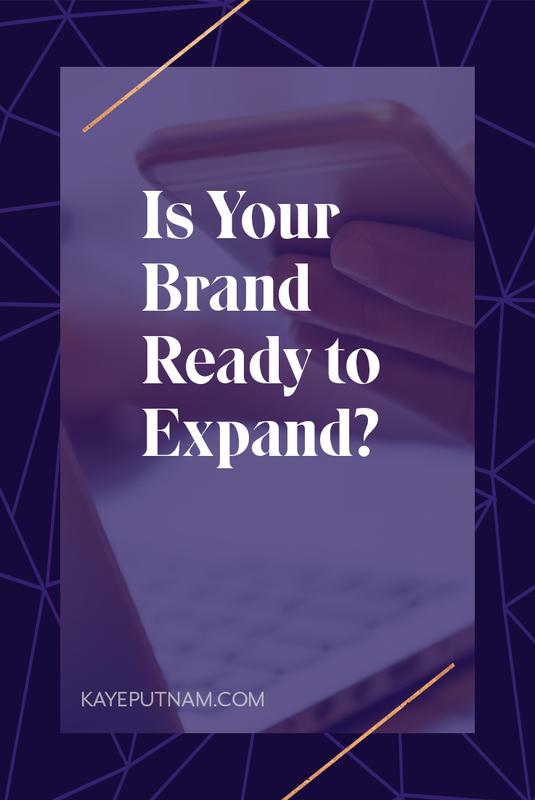 So, how do you know when you’ve arrived at this point and it’s time to scale your brand? You handle every aspect of your business. When you’re in charge of everything, you can’t excel at anything. You’re stretched too thin – juggling client work, marketing, finances, and day-to-day operations. Instead of spending your time in your unique zone of genius, you’re doing menial tasks that, frankly, aren’t likely to propel you forward unless something changes. More importantly, doing #ALLTHETHINGS is essentially a one-way ticket to burnout-ville – population YOU. It isn’t fun and it isn’t serving you to be stuck in the grind, day after day. Plus, when you’re responsible for too many tasks, things naturally begin to fall through the cracks. After all, we’re only human. We forget. We make mistakes. We don’t always get everything right on the first try. We run out of time. It happens to all of us. But with extra hands on deck, it’s *SO* much easier to reach your goals with momentum and focus on the things you do best. Your customer service standards are slipping. Have you noticed that your response times have gotten slower over time? Are small details slipping through the cracks? Have you gotten too relaxed when it comes to meeting deadlines? These are all indications that something is wrong. In order to build your best business, you NEED to offer a great experience and timely deliverables. No ifs, ands, or buts! The best way to win your clients’ hearts is to set clear expectations from the beginning, anticipate their needs and/or questions, deliver everything as promised (on time and fully complete), while putting out work that you’re incredibly proud of. If you find yourself feeling deflated by client calls, scared to ask for feedback or testimonials, or otherwise at odds with your customer experience – take a step back and identify where the problems and stressors are coming from in the process. Once you can pinpoint the issue, you can solve it! You’re working a TON, but your profits don’t reflect your efforts. If you find that you’re always nose-to-the-grind hustling, and yet your bank account hasn’t gotten the memo – it’s time to shake things up. If you were paid out on effort, you’d be ready to retire, right?! This is a big ol’ red flag that you aren’t charging enough for YOUR time. You either need to find a scalable way to work with clients without the 1-on-1 work, or you need to charge a lot more for that dedicated time. Or even better – do both! 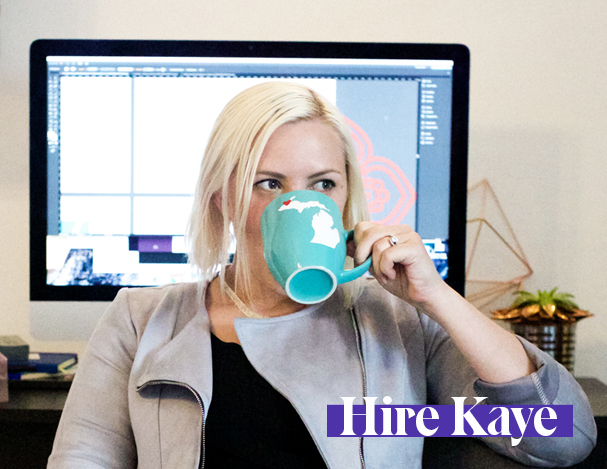 Think of it this way: if you’re constantly booked, clearly you aren’t having any issues landing clients… and as such, you could probably stand to raise your prices. Less work. More money. Win-win! When you’re stuck going through the motions of the day-to-day, it’s easy to lose sight of the bigger picture. As an entrepreneur, there’s a good chance that you’re miserable without something bigger on the horizon. You need help running your business so that you can step back into the visionary role and get ready for what’s to come. If you have programs you’re looking to build, memberships you’re planning to implement, new services you’re desperate to launch, etc… Ask yourself why it is you aren’t working toward these goals. Is it *actually* the best use of your time to be doing all of the things you’re doing instead? Could any of that work be outsourced or cut to make room for the future business of your dreams? Maybe you’ve already realized that you need help, but hiring is harder than it sounds. 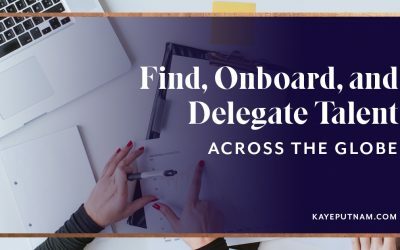 If you’re spending tons of time training team members or contractors, you need to develop an onboarding process that gets you the end result you want, but requires far less of your time. Training is key – otherwise, you’ll be spending money on contractors to do work but constantly needing to edit…. And that’s not a good use of anyone’s time. You’ve outgrown your current target audience. Have you made changes to your business, and suddenly, you’re getting less sales? This often means that your voice, service, or expertise have shifted enough that you aren’t even targeting the correct ideal client anymore. With every major shift in your business, you need to reassess your ideal client and ensure that your messaging will still appeal to them. The same way our relationships with friends grow and change over time, so the business to client dynamic. Your brand is a bit like a human in that way! It ages and goes through several stages of growing pains. It’s very unlikely that you’ll be attracting the same exact audience 5 years in that you were when you initially got the ball rolling. That’s okay! As long as you’re clear on who your ideal target is and your messaging matches, you’re golden. 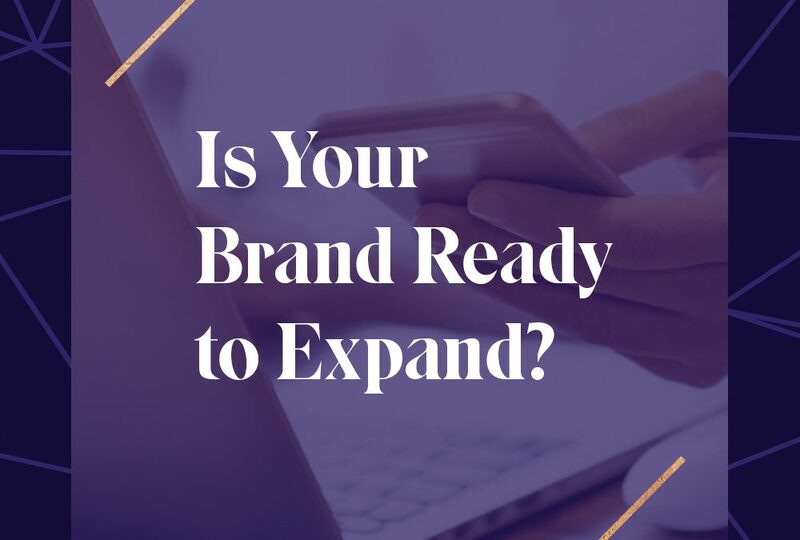 Here’s the deal: When you’re making these pivotal changes in your business, it’s essential that you deep dive into your brand standards. There are a lot of elements to examine here, but setting clear and consistent standards throughout your brand will improve everything – from your workflows to your customer experience, and ultimately, your life-work balance! Define your values, goals, and message. Without this knowledge in place, you’ll never reach brand clarity and consistency. Your values determine both how you operate as a business and who your ideal clients or customers are. Think about the companies you love, and ask yourself what it is that you love about them? What overlapping values do you share that keep you coming back as a loyal customer? Values may seem unimportant or irrelevant, but they are ultimately the driving force behind forming bonds with your audience. Plus, when it comes time to hire new team members, values will show up time and time again in your company culture. Goals help you to grow and scale steadily, rather than aimlessly going through the motions or losing sight of the big picture. They also serve as benchmarks to track your company’s growth and progress over time. As entrepreneurs, having something to work toward is crucial. After all, you can’t succeed if you don’t know what success looks like! Obviously, messaging plays a HUGE role in attracting your best leads. Consider what makes YOUR brand unique, compared to your direct competitors. Why are YOU the one for the job? Your messaging should build trust and give your audience a reason to choose you over the other guy. Create SOPs for the everyday tasks you know like the back of your hand. The whole idea here is that you can’t be the one doing everything forever. But in order to pass the torch with confidence and not constantly have to micromanage or make edits to your team members’ work, you need a clear and dedicated process for how you do things. Before you can keep your standards intact, they first need to exist. Sit down and come up with a list of the promises you offer your clients or customers, as well as the different processes that go into acquiring and working with them. How do you follow-up on leads? Is there an application process? Do you have a standard contract set in place? How and when do you accept payments? Do you work designated office hours when clients can expect to communicate with you? How do you deliver work to clients and what’s your preferred method of feedback? Is there a set number of days after turning in a project that clients must request edits within? Do you have a limit to how many rounds of revisions you’re willing to offer? What’s the go-to format for blogs? What about videos? How do you post to social media, and how often? What tools do you use to work with clients? The questions above and SO many others will help you develop easy-to-follow standards within your business. Once these rules exist, it’s your job to make sure every single person on your team is on the exact same page. They need understand these processes like they wrote the book themselves! Redefine the strengths of your brand as a living, breathing asset – separate from YOU! There’s a reason why clients and customers flock to you instead of your competitors. The sooner you can identify that reason, bottle it up, and share it with your team (AKA teach them your magical ways), the better! 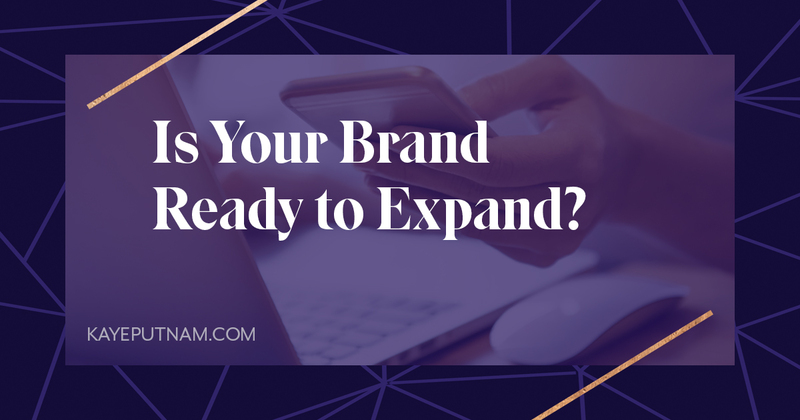 But that isn’t the only way that you can expand your reach without burning out. Another great way to increase your revenue is by creating a path for passive income. 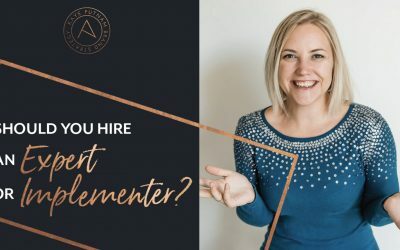 This could be an online course or web series, a membership platform, or any other resource that will help others achieve the results they are looking for without hiring you personally to take it all on. Sure, we all want to keep our talents top secret – but passive income opens up a whole new world of income possibilities on autopilot. Consider it! Can you do it all alone? Maybe. But not forever, and certainly not if you have any intentions to really grow! Our newest program, The Clarity Code, exists to help you map the way with our defined brand development process. With this proven framework for defining, refining, and expanding your success – you’ll learn how to assert yourself as an industry leader, push beyond bottlenecks that may be holding you back, and set a realistic path to your most audacious goals. You can learn more about The Clarity Code here. 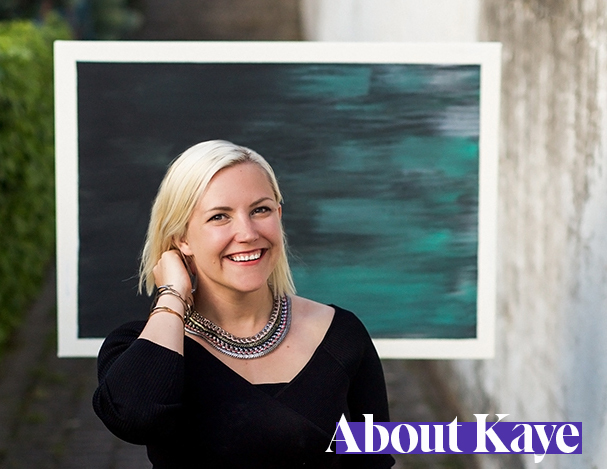 Moving your brand from a one-(wo)man show to a full-blown multi-person company can be intimidating. There’s a lot to figure out, plan, implement, and teach. But the good news is, you don’t have to do it alone!